Hurricane Arthur, the first named storm of the 2014 Atlantic hurricane season, made landfall in North Carolina, July 3, as a Category 2 hurricane. It was no Sandy, but Arthur nevertheless reminds us to be prepared now and always. That “one” could be a hurricane or wildfire or any disaster or extreme event. If after a disaster you find yourself with only a mobile device in hand as your most convenient or sole Internet access point, a redesigned FEMA website might come as a small bit of relief. 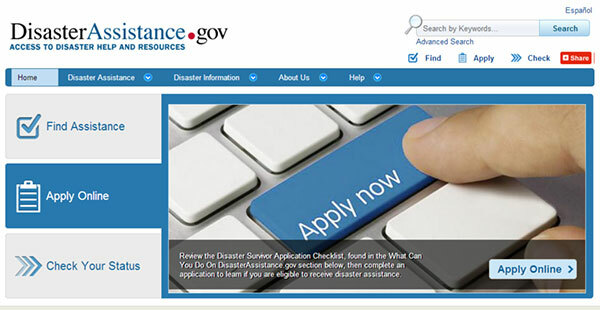 Check the status of your application for assistance, straight from your screen. It’s also a good time to remind you about a perfect companion to this site: the Disaster Reporter feature of FEMA’s app, which we blogged about in January. The app feature, now available for both Android and iOS, enables anyone to submit geographically tagged and captioned photos taken during and after a disaster. FEMA will then plot approved images on an interactive map. Disaster Reporter is part of the agency’s effort to use citizen intelligence to better understand and respond to all kinds of disasters and extreme events. Don’t wait until mayhem finds its way to your doorstep to become acquainted with these and other tools. If you are interested in implementing responsive design for your agency be sure to check out our July 30 webinar on Mobile Web Templates: How to Use Open Source CMS to Implement Responsive Web Design.Remember: You can download all the latest government mobile apps from the USA.gov Apps Gallery.